It’s no wonder that the PSP’s release list has been slimmer than a Peperami over the past year – Sony have been working their socks off to provide the PS Vita with no less than ten titles. Uncharted: Golden Abyss and WipEout 2048 are the two main system sellers but there are some other titles worthy of attention too. Before we get to dissecting the line-up though, there’s some other stuff to talk about. We haven’t spent a great deal of time with the system, but that little time has been well spent. It’s a little larger than you may expect, with a glorious screen, and the touch panel opens up new ways to play. Or at least, new ways to those who didn’t experience the DS. In the upcoming Mortal Kombat fatalities are pulled off by swiping the screen while in another game enemies’ throats have to be slashed by proficient swiping. 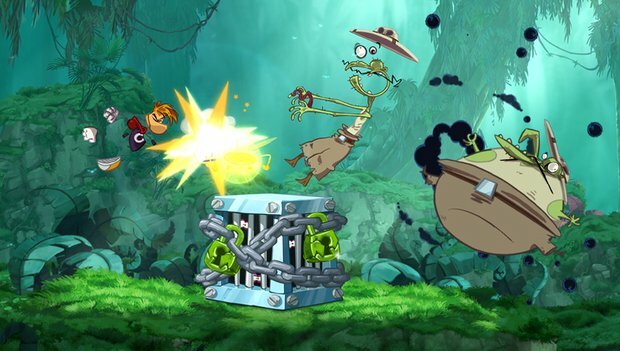 We forget the game name, but it probably isn’t Rayman Origins. Two models exist – a WiFi model and a more expensive 3G model. Not sure what to get? Ask yourself this – are you happy to do all your downloading and online gaming while at home, or do you want to do these things on the move? Vodafone are supplying the 3G network and have a deal planned. £279 gets you a 3G PS Vita, 4GB memory card and a 3G sim card. If you then top up the sim card with £5 they’ll hand you a shiny new copy of WipEout 2048 too. Amazon, ShopTo and GameStop are the three retailers who have seemingly been in competition with one another to lure in those looking to pre-order. Amazon are offering the WiFi model plus a selected third party game and an 8GB memory card for £225 or the 3G model for £275. This deal doesn’t appear to include Sony’s own pre-order incentive starter pack though which includes headphones, avatar items and a £5 discount voucher. ShopTo’s offers do however have the starter pack. Prices start at £218.86 for a WiFi system and a selected game. They’re also rather cheekily selling the starter pack on its own for £24.99. GameStop meanwhile seem to be the best place for the 3G model – £319 for the system, Uncharted and a 16GB memory card. Over the high street, Asda kicked off the supermarket price war with a £196.98 price tag for the WiFi model. The line-up is a mixture of familiar franchises, conversions of older games and a handful of new IPs. 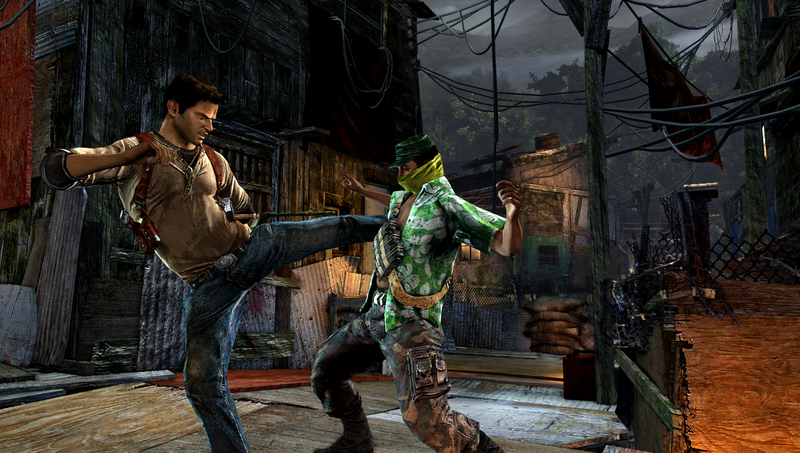 Uncharted: Golden Abyss and WipEout 2048 are the ones getting the most press attention. EDGE gave Uncharted a 7 while Eurogamer gave it an 8. 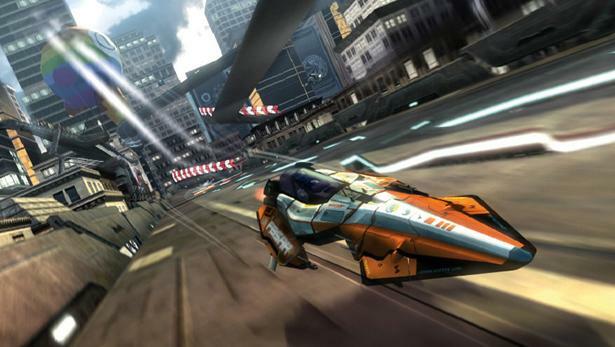 It was a case of the opposite for WipEout where EDGE awarded it an 8 while Eurogamer thought it was only worth a 7. Everybody’s Golf – one of Sony’s staples for their system launches – was also given a 7 by EDGE while fellow magazine gamesTM scored it an 8. Incidentally, gamesTM gave WipEout a 9 making it their highest scoring PS Vita game. We’ve also heard good things about FIFA Football – loading times are short and it plays brilliantly due to the system having two analogue sticks. 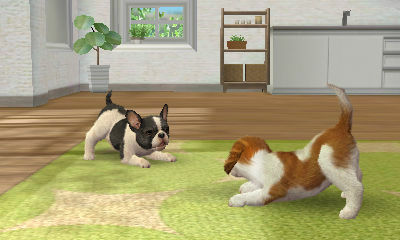 MCV even reported that it could be a killer app. IGN were the first place to review it, where they dribbled out an 8. The only other sports game in the line-up is Virtua Tennis 4 from Sega, which has optional touch-screen controls. Our worry with that one is that your fingers could end up obscuring the view. The first batch of reviews for mini-game package Little Deviants doesn’t make for pleasant reading. EDGE gave it a 5 claiming that there’s not a whole lot of game on offer and little incentive to return once you’ve seen everything. No wonder it’s one of the cheaper launch games – Amazon are selling it for £17.99. Modnation Racers: Road Trip has been getting mixed scores, including a 7.0 from IGN and 4 from gamesTM. That’s the same score gamesTM also gave Square-Enix’s action game Army Corps of Hell, which is a shame. That said, IGN gave it a 7.0 although they did point out it could have been done on the original PSP. Then we’ve got Ubisoft’s conversions. If Dungeon Hunter Alliance rings a bell it’s because it was first released on PSN last year… at a third of the cost. We aren’t sure why it isn’t £19.99 like most of Ubisoft’s Vita games, such as Asphalt Ignition and Michael Jackson: The Experience. IGN gave the former 6.0 and the latter 6.5. That has to be an all-time high for the Asphalt series. Not all their efforts are mediocre though – Rayman Origins has been getting 9/10s, such as this one from GamesRadar. Ubisoft are also publishing Lumines: Electronic Symphony which has been described as amazing. 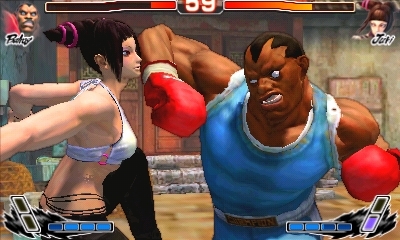 We were expecting Reality Fighters to be little more than a tech demo but it’s pleasingly more than that with a fighting system influenced by Capcom’s brawlers. EDGE gave it a 6, making it worth consideration if Capcom’s own Ultimate Marvel vs Capcom 3 – which scored an 8 on Eurogamer – doesn’t take your fancy. There’s BlazBlue: Continuum Shift too, which we could never imagine to be terrible. And it isn’t. Seeing as Japan was the only country to take the PSP to their hearts, Eastern support is typically strong. There’s Ninja Gaiden Sigma Plus, Dynasty Warriors Next, Shinobido 2: Revenge of Zen and Touch My Katamari. Touch My Katamari doesn’t sound like a very appealing package – it’s another one of the Vita’s cheaper games but you can apparently see everything in a day. IGN also had some wise words about Ninja Gaiden: “If you weren’t crazy about Ninja Gaiden the last three times, this is the same game, so keep walking. 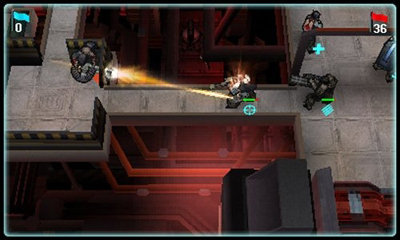 Likewise if you already played either Black or Sigma, you’re probably ok to hold off, too.” It doesn’t sound like it’s a bad conversion though – they gave it an 8.0. 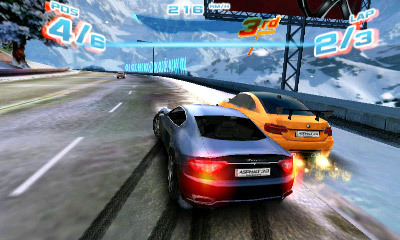 There’s always a Ridge Racer wheeled out with any Sony system launch. 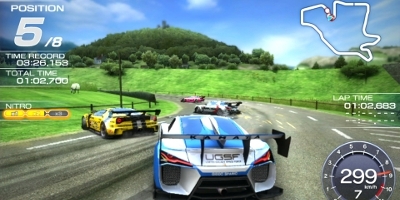 The Vita’s Ridge Racer caused a controversy before it was even released. It’s only £14.95 to pre-order on places like TheHut but most of the tracks have to be downloaded at an additional cost. With scores including a 5 from gamesTM it may be best to stick to WipEout or Codemasters’ only Vita offering – Formula One 2011. Sony’s Unit 13 hasn’t been reviewed yet but we’re guessing that’s because it’s missing launch day in favour of a 9th March release. It’s by Zipper Interactive – the SOCOM guys – and as such looks rather similar. One of the more interesting features is that new missions are sent to the Vita every day. This leaves us with the downloadable games. Sony’s pricing of these has been given a thumbs up – superlative twin-stick shooter Super Stardust Delta is set to cost £6.49 while MotorStorm RC costs just £4.79 and allows for play on both PS Vita and PlayStation 3. It you already have Hustle Kings and Top Darts on PS3 then you can then download the Vita versions for free, which is another thing we approve of. Good work there, Sony. UK retailers have some incredible discounts at the moment – GAME has been selling Xenoblade: Chronicles and RAGE for £9.98 while yesterday Morrisons reduced half a dozen 3DS games to £7 a pop. We’ll have to wait until next week though to see how the sales have affected the UK chart, as this week’s UK top 40 only takes us up to 24th December. There’s a bit of a shake around in the top ten. Most significantly, FIFA 12 is back on top while the Christmas number one – The Elder Scrolls V: Skyrim – now resides at #8. There’s a new entry at #10 too – EA’s new hope Star Wars: The Old Republic. Rayman Origins is doing much better now that the price has been cut to around £20 – it’s now at #19, up from #25. Pre-Christmas price cuts for Sonic Generations have also helped Sega’s platformer with the blue blur dashing up from #19 to #15. We’ll also be interested to see how Nintendo’s Boom Street on Wii does next week, as Nintendo rather curiously pulled the release date forward from early January to the end of December. Early reviews haven’t been too bad including a 7 from gamesTM.